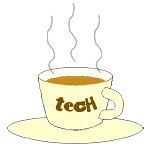 iPhone « Tech bytes for tea? Apple’s iPhone 8 & iPhone 8 Plus have arrived in Singapore. Telcos in Singapore saw long queues forming with customers vying to be the first to get their hands on the latest smartphones from Apple. The first 10 Singtel customers to get their new iPhones. Singtel, the largest Telco in Singapore, held its launch at Marina Bay Sands Exhibition Hall C.
The Veil XT is an ultra thin, full coverage case for minimalists and retails at S$39 each. Retailing at S$39 each, the cases will be available in several colours including classics like Frost and Wisp Black, as well as new colours, Aquamarine and Pink. Lamch & Co has introduced the Veil XT line of cases by Caudabe, a leading brand of premium, ultra thin mobile device accessories. Veil XT for iPhone 6 & iPhone 6 Plus. Measuring a thin 0.35mm, The Veil XT is perfect for minimalists who prefer not to bury their sleek iPhones behind layers of bulky plastic. The Veil XT provides a tight and precise fit around the iPhone while maintaining the iPhone’s thin form factor and providing protection from scratches and bumps. The iPhone 6 and 6 Plus versions of The Veil XT also feature a 0.7mm ridge around the camera cutout, designed specifically to protect the iPhone’s protruding camera lens. OtterBox has launched new protective cases for Apple’s iPhone 6 – Commuter (S$49), Symmetry (S$49), Symmetry IML (S$65), and Defender (S$69) series. New OtterBox protective cases for the iPhone 6: Commuter (S$49, top right), Symmetry (S$49, top left), and Defender (S$69, bottom) series. The new cases offer varying levels of protection and designs for different tastes and occasions. Apple’s 5-day Worldwide Developers Conference Kicks Off 2 June at Moscone West in San Francisco. Developers can now apply for WWDC Tickets until Monday 7 April (10am PDT). WWDC14 – Apple Worldwide Developers Conference, June 2-6, San Francisco. At this year’s conference, developers from around the world will learn about the future of iOS and OS X®, and the latest tools and technologies to create apps for iOS and Mac® devices.